And believe it or not, what your agent is saying is true. There are pros to buying in both the peak and off-seasons, just as there are cons to both periods as well. 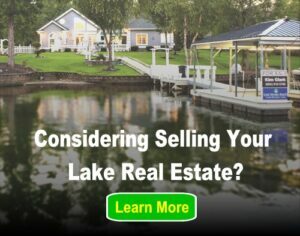 So is there a right or wrong time to buy a lake home? Well, we’ll let you decide. Lake real estate markets start livening up in the spring, as temperatures begin to climb, and are in full swing by summer. Today’s sellers know that summer months see more potential buyers in their markets than any other time of year. Because of this influx of potential buyers, spring and summer markets are suddenly inundated with homes for sale. This spike in inventory is a considerable part of why buying in the peak season is preferred by many prospective buyers. Spring and summer not only yield a more robust variety of properties to choose from, but the lake season also presents buyers with a wider price range, thus a better chance of finding the RIGHT lake home. Another pro to peak season-shopping is that buyers often have fuller pockets during this time of year. Tax returns have been processed and holiday bills settled, therefore many have more money for down payments. That said, demand is greater in warmer months, which means higher competition for both buyers AND sellers. Sellers compete with other homeowners to get their homes sold quickly and for top dollar, and buyers compete with each other to win out on their favorite listings – without going too much over budget. This two-edged sword means that with a seemingly endless supply of buyers, sellers have the luxury of fielding as many offers as they choose until one comes along that matches their expectations. This also means that buyers are more likely to put multiple offers down at one time so as not to miss out on other opportunities. Additionally, because sellers are aware that demand is greater during the lake season, they often list their homes at higher prices than they would in the off-season. This is because in a high-competition market, buyers are likely more willing to pay a little extra for the right lake home. In the lake real estate off-lake season, generally during the fall and winter, many sellers opt to take their homes off the market to relist them as new listings in the spring. But those homeowners who choose to keep their properties on the market past peak season are often exhausted and ready.to.sell. 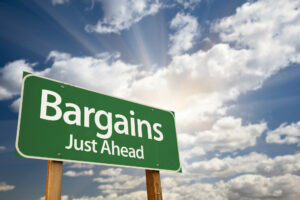 As a result, home prices typically drop, which is great for budget-conscious buyers. Plus, tired sellers are likely to advocate for a quick closing. Not only does off-season shopping allow buyers to spend more time inspecting the home, area and lake culture outside the busy season, but it can also mean fewer offers for sellers to consider. Purchasing a lake home in the fall or winter also gives buyers plenty of time to prep the property for the coming lake season. Of course, in the off-season there are fewer listings for buyers to consider as demand tapers down. Tighter inventories can mean bigger compromises in property features and distance from the waterfront. Finding the time to tour homes can also be more difficult for off-season buyers because of the holidays when parties and weekend guests are more frequent. Winter weather may factor into off-season buying, as well. Not only are lake levels generally lower during colder months, the wildlife has also disappeared and the plants have all died, making it difficult for buyers to envision themselves enjoying sunnier times there. Particularly in harsher environments, buyers may have to suffer touring though unheated vacation homes in inclement conditions, if the weather doesn’t prevent them from traveling there all together. Want to chime in on when YOU think the best time to buy a lake home is? Let us know in the comments below!